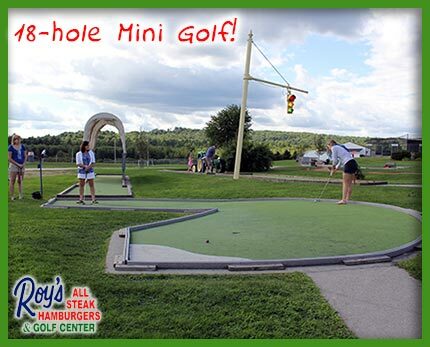 Proudly offering affordable family-fun in Auburn, Maine! 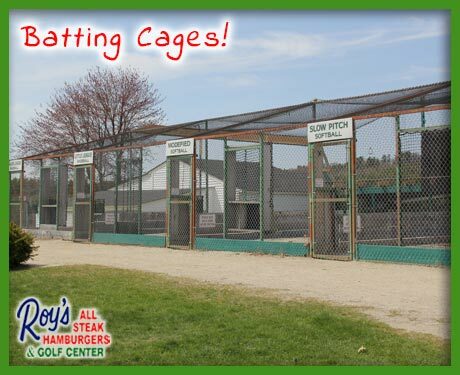 Whether you want to enjoy one of our world famous all-steak hamburgers, grab ice cream cones with the family, or partake in the batting cages or golf – come join us in Auburn, we have something for everyone. Don’t forget, every Friday night is Cruise Night! 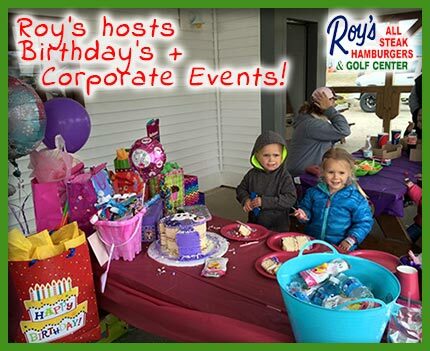 Did you know Roy’s can accommodate birthday parties and corporate events? Contact us to learn more! offers tons of fun for all ages. Borrow our top-notch clubs or bring your own! Our range offers 5 target greens with yardage marked at each stall. 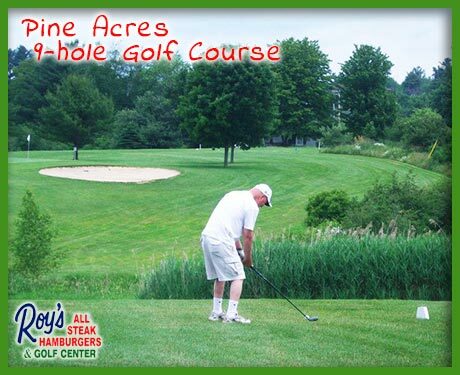 9 holes – $14. 18 holes – $18. Mon-Fri after 4pm only $10! 12 pitches for only $1! Managing a softball or baseball team? Want to plan a memorable birthday or corporate event? Contact us today about hosting your next event at Roy’s! 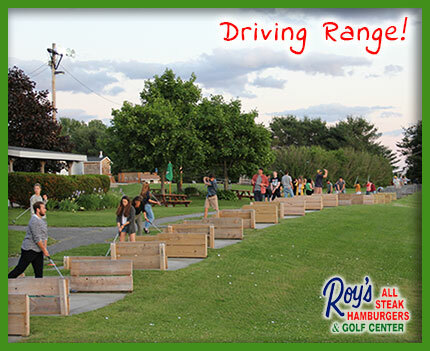 Every Friday night in the Summer, Roy’s has the coolest cars in town! + Contests, Raffles, a live DJ – see why everyone loves Cruise Night!